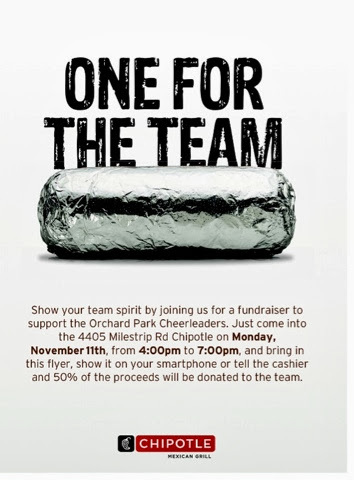 I was supposed to hand out all info, flyers and materials for this fundraiser on Tuesday, with practice being cancelled I need you to please print out your tickets yourself! You can use this name and password to actually go on yourself and do it or you can simply print my attachments. JV practice canceled today, November 20. Rescheduled for tomorrow, 5:30-7:30 because of high school play. Below is the link to the gift wrapping sign-up sheet. 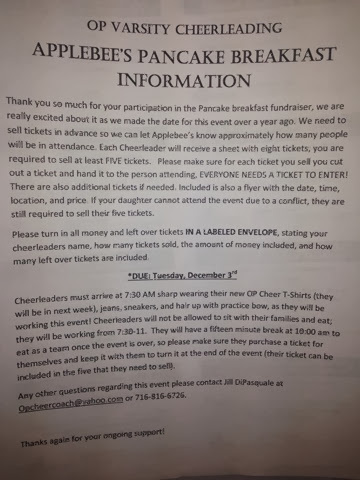 Each cheerleader must sign up for TWO shifts. The shifts are first-come, first-serve. We will need a MINIMUM of TWO parents at each shifts, however, everyone is welcome to come and help out! Last year the Varsity cheerleaders raised over $1000 in two days of gift-wrapping in this same location. Please keep your eyes open for deals on wrapping paper, boxes, ribbons, bows, etc! Check out the OP newsletter! We made it! 5. click on "NOVEMBER 2013 OPHS PTO newsletter" near the center of the screen. 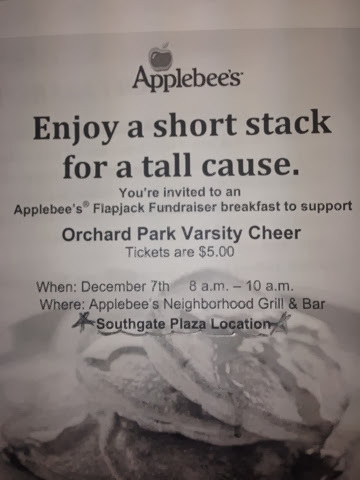 Thank you so much for your support in helping OPHS Varsity put on a fantastic fundraiser! With your help we raised over $600!! That exceeded our expectations! Great work by all! *if you sold a used body suit to JV at the beginning of the season subtract $30 from your total cost. *Everyone that doesn't already own a sweatshirt is required to purchase one. If you already bought one than subtract $35 from your total cost. As football season comes to an end and basketball and competition season approach, I just want to congratulate each cheerleader for a great 2013 football season! You all had a fantastic showing at the games (rain, hail or shine) and especially at the Pep Rally! We received an amazing amount of compliments from OP staff, parents, and other coaches! You have set the tone for a very successful and memorable second half of the season. I also just want to thank each parent for your ongoing support with crazy schedules, practice times, and locations! We appreciate your commitment as we try to figure out what works best for the girls, the program, and the coaches; and then coordinate it and get it all approved by the Athletic Office. It's not always an easy task so we appreciate your patience! Keep up the good work! And remember we have double ECIC titles to defend this year! GO QUAKERS! Please note there have been some changes made to the competition schedule and to the game day schedule. Check the updated notes or check the online calendars for changes.